Major League Baseball has required all teams to use metal detectors by the 2015 season. 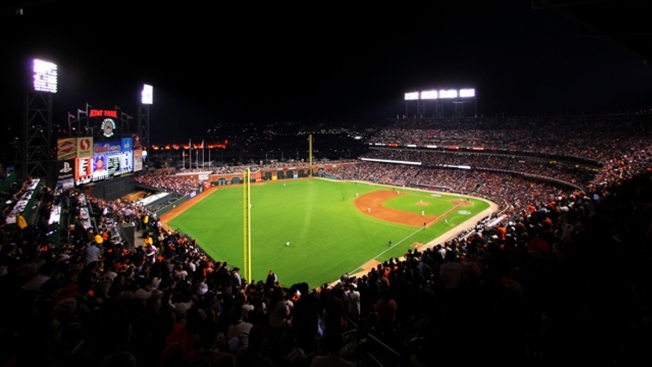 All fans entering AT&T Park during the 2014 season will have to pass through metal detectors, the San Francisco Giants announced Friday. The increased fan screening results from Major League Baseball's requirement that all teams use metal detectors by the start of the 2015 season. 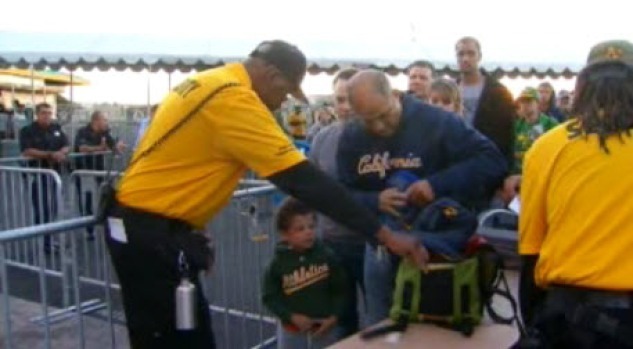 Fans attending A's games for the remainder of the season will see big security changes. Terry McSweeney reports. •	If bringing in a bag, security will inspect bags as fans are in line approaching the gates. Bag policies have not changed and bags not larger than 16”x16”x8” will continue to be allowed in the park. Bags will not go through the metal detector. their pockets before walking through a metal detector. •	Fans will walk through a metal detector at the gates while their tickets are being scanned. Those who do not wish to walk through a metal detector have the option of being manually checked with a hand-held wand. The Giants will remove the turnstiles at the gate to speed up the entry process, according to the team. The metal detectors will be tested at Scottsdale Stadium throughout spring training. For more stories from The Cove, click here.